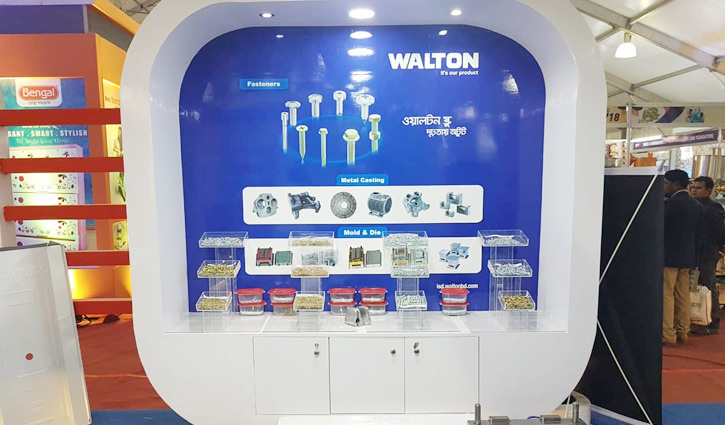 Economic Correspondent: Walton Industrial Solution Division (WISD) has joined the 14th International Plastic Fair-2019. Walton, the local manufacturer of electronics and home appliances put on the show over 50 different models of products to sell at the four-day fair at International Convention City Bashundhara (ICCB) in the capital. The products include- Chemical Components, Plastic Components, Mechanical Components, LDP, LGP, Mold and Die, Screw and Nut-bolt, Master batch, Hot Melt Glue, Road Cone Divider, Compressor, Metal Casting Components. WISD incharge, Mechanical & Industrial production Engineer Md. Arefin Nadhvi, Assistant Director under Internatinal Business Unit (IBU) department of Walton said, WISD is working hard to reduce the dependency of foreign import and speed up Bangladeshi industrialization. 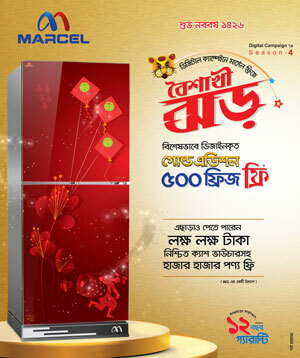 The effort of Walton Industrial Solution Division has enriched country’s economy. WISD is exporting these goods now in the countries of Asia, Europe and America crossing the local border. “We are producing the products now which were imported earlier. The quality of the products are world-class. We have joined the fair to inform the globe about our products,” he added. Earlier, Industries Minister Nurul Majid Mahmud Humayun inaugurated the fair at International Convetion City Bashundhara (ICCB) in Dhaka at 12:30 on Thursday. Bangladesh Plastic Goods Manufacturers and Exporters Association and Taiwan-based Yorkers Trade and Marketing Service Co Ltd jointly organised the fair. The fair will continue till January 20. Salman Fazlur Rahman, the private industry and investment adviser to the prime minister, Bengal Group Chairman also Member of the Parliament Morshed Alam, FBCCI president Md Shafiul Islam Mahiuddin, International plastic fair (IPF)-18 Co-organizer Judy Wang, President of Yorkers & Marketing Services Company Limited attended the function. A total of 480 companies participants including manufacturers and suppliers of machinery, mould, raw materials and plastic products from 19 countries participated at the IPF setting 780 booths this year. The entry fee in the fair is totally free.